There are some things that make me an angry mom. 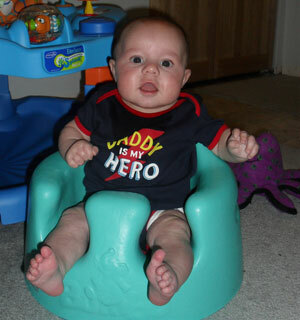 Or at least an irritated one… like the assumption that my husband baby-sits instead of parents. Or when Norton decides to dive bomb off the back the couch and somehow hurt my back. Because I love my children, I do my best to exercise restraint when the angry mom comes out. This morning, though, I did not exercise any restraint on the angry mom beast within. Well, I tried to keep my voice down, but that was it. So what brought out the mommy rage? My husband is a wonderfully involved father. There are things that he’s done with our children that I haven’t, even though I’m a stay at home mom. Those things are part of his role as an involved father. I seldom take care of Norton’s bath. It’s been something that he’s done with his daddy since coming home from the hospital. It’s entirely possible for me to go months without giving Norton a bath or putting him to bed. I have never given my daughter a bath. I rarely put her to bed at night. Those are all part of Daddy’s rituals. 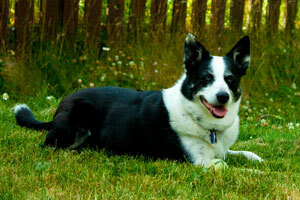 T’akaya the Brilliant Border Collie, adopted from BC SPCA North Cariboo branch seven years ago. I am, admittedly, a dog person. I think that often the only thing missing to complete a family is a great family dog. I’ve been fortunate. Not only do I have Winston the Wonder Chihuahua, I also have T’akaya the Brilliant Border Collie. She is the very definition of a great family dog.